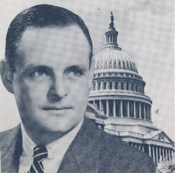 After four years in the Pennsylvania state senate, Douglass Hemphill Elliott was elected to Congress on April 26, 1960, to fill the vacancy left by Richard M. Simpson’s death. 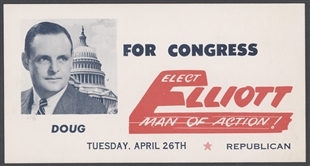 The campaign card, which describes Elliott as a "man of action," served as a reminder to vote in the special election. 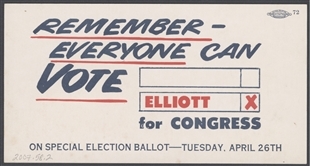 Elliott turned out to be a man of the moment, as well. 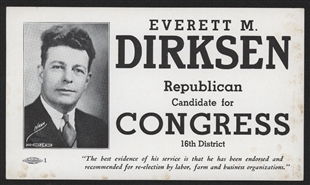 He served only briefly and died on June 19, just weeks after winning the election.